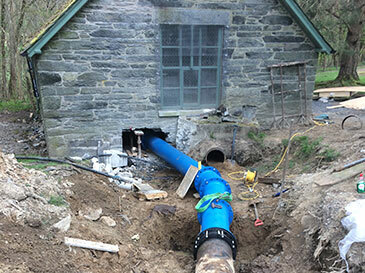 Renewables First was hired to refurbish an existing hydropower scheme within the grounds of Pale Hall, located on the Afon Caletwr, near Bala, Gwynedd. Renewables First’s role was licensing, detailed design, installation and commissioning of hydropower refurbishment project. 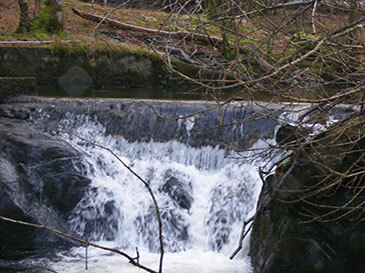 The hydropower refurbishment project involved modifying and adapting existing infrastructure of a hydropower scheme that was originally installed back in the 1920’s. As a result the layout of the new scheme was essentially to remain the same. 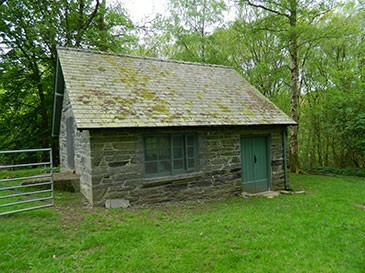 The original scheme at Pale Hall comprised a 75 kW Gilkes Turgo turbine, located in a purpose-built turbine house (see below). 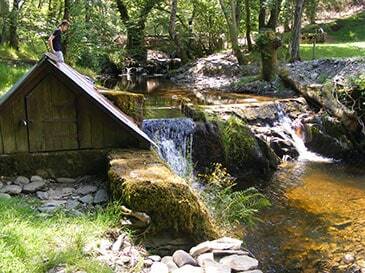 A small weir on the Afon Caletwr marks the upper boundary of the scheme and provides the location of the water intake (see below). From the intake the pipeline runs for approximately 1,400 metres and delivers water to the turbine house (see below). From here power is transmitted roughly 250 metres via a buried powerline to Pale Hall itself. 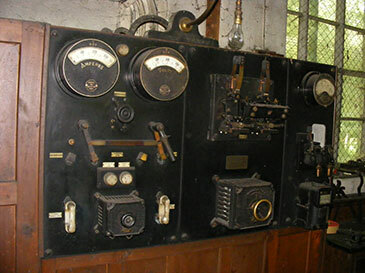 Constructed in the 1920’s, the hydro scheme provided DC power to Pale Hall for the purpose of heating water and for lighting. 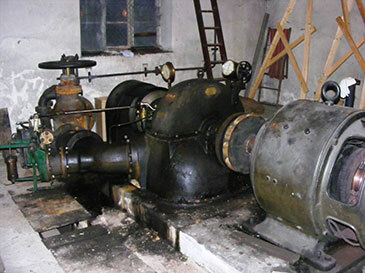 The original intention was to refurbish the old turbine and replace the electrical system with a modern AC generator, but it was soon clear that this wasn’t practical for a number of reasons and would not maximise the generating potential of the site. 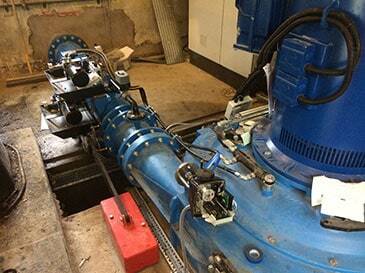 It was eventually decided to decommission the old turbine and install a new 90 kW turbine. 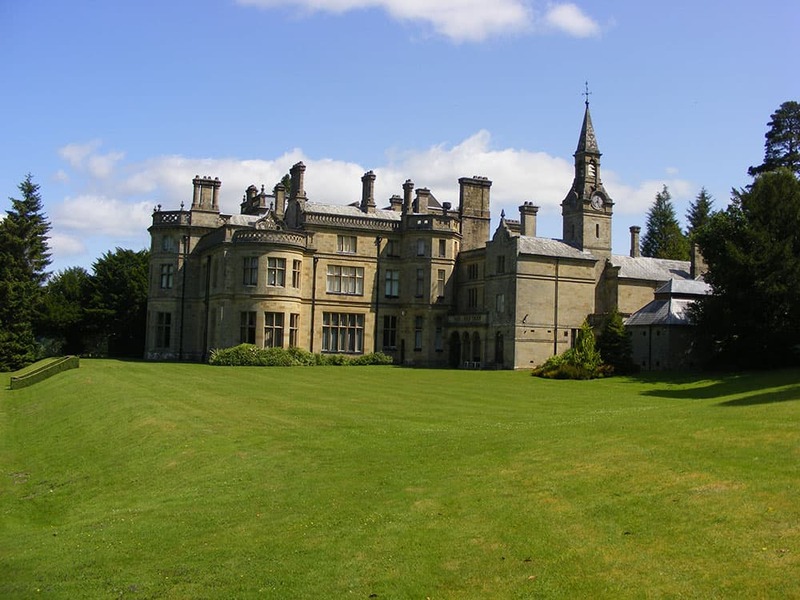 In doing so, the role of the turbine changed from one of purely supplying an off-grid supply to part of the hall, to a system that powers the whole property and also exports a surplus to the National Grid. 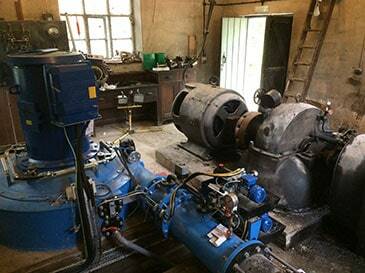 The turbine house was internally upgraded to accommodate the new turbine and electrical equipment. 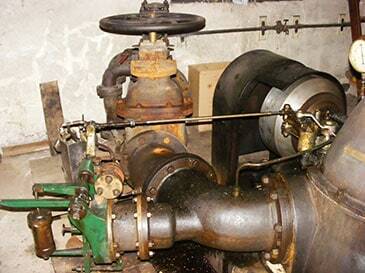 Instead of removing the old Gilkes turbine upon decommissioning, it was left in-situ with the new turbine, which itself, now sits alongside it on a concrete plinth previously used for a diesel generator. This is perhaps the only such installation in the UK. 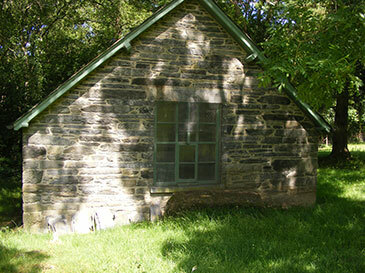 From the outside, the appearance of the turbine house (see below) has not changed, reflecting the fact that not only was the building in good condition, but also the owners desire to preserve as much as possible the heritage of Pale Hall. Inside, however, much changed with the installation of the new turbine. The existing pipeline for the scheme – extending from the water intake to the turbine house – was maintained for ongoing use, except for a short section leading into the turbine house, as shown in the photo on the right. Making use of the existing scheme layout and infrastructure, particularly the long pipeline, has achieved considerable cost saving and minimal environmental disturbance, compared with installing an entirely new system. Excavation works to install a new 1,400 metre pipeline, would have been no small undertaking. The hydropower refurbishment scheme is estimated to generate approximately 350,000 kWh electricity per year. This is equivalent to powering roughly 82 UK homes and creates an emissions saving of 179,000 kg CO2 per year.